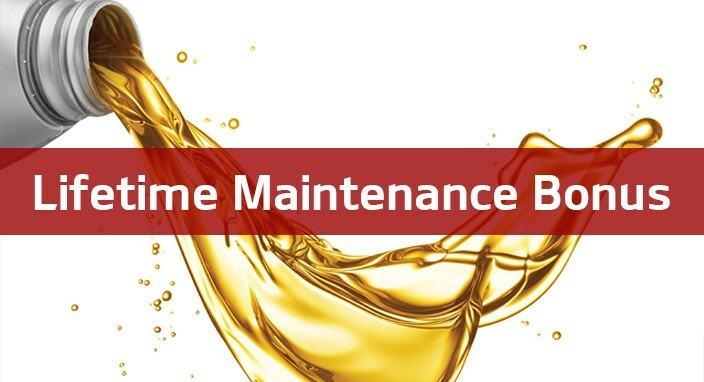 Disclaimer: Lifetime Kia Maintenance Bonus (LKMB) grants signing customer FREE oil changes value as long as customer follows suggested maintenance intervals, performed exclusively at West Toronto Kia. Applies to new or pre-owned vehicle purchases from West Toronto Kia ONLY. Valid only at West Toronto Kia, is not transferable & cannot be combined with any other offer. We reserve the right to adjust maintenance pricing at our own discretion.